ADAM was a failure. NOAH was a drunk. ABRAHAM was too old. ISAAC was a daydreamer. JACOB was a liar. LEAH was ugly. JOSEPH was abused. MOSES had a stuttering problem. GIDEON was afraid. SAMSON had long hair, and was a womanizer. RAHAB was a prostitute. JEREMIAH was too young. DAVID had an affair and was a murderer. ELIJAH was suicidal. ISAIAH preached naked. JONAH ran from God. NAOMI was a widow. JOB went bankrupt. JOHN the Baptist ate bugs. PETER denied Christ. The disciples fell asleep while praying. MARTHA worried about everything. MARY MAGDALENE was, well, you know... The SAMARITAN WOMAN was divorced ... more than once. ZACCHEUS was too small. PAUL was too religious. TIMOTHY had an ulcer. AND LAZARUS WAS DEAD! The beginning of Christianity is not founded on an exclusionary belief system. The Christian faith is grounded in God's loving response to nasty sinners like you and me. There's nothing narrow or elitist about a faith that says "come as you are!" Charles Spurgeon, a powerful teacher of Christianity, said it beautifully, "When a man sees himself to be altogether lost and ruined, covered all over with the defilement of sin, and no part free from pollution; when he disclaims all righteousness of his own, and pleads guilty before the Lord, then is he clean through the blood of Jesus, and the grace of God. When sin is seen and felt it has received its death blow, and the Lord looks with eyes of mercy upon the soul afflicted with it. The beginning of Christianity is far from exclusionary or elitist. The foundation of the Christian faith is lavish, open and excessive grace! In fact, contrary to today's view of Christianity, God doesn't seem to be very careful about who He calls to be His friends and followers. His grace, delivered through the sacrifice of His own Son, Jesus Christ, is powerfully and wonderfully inclusive! For a true picture of the beginning of Christianity read the Holy Bible. As Mike Yaconelli put so well, "The Bible is full of changed people who changed the world around them, people who were prostitutes, murderers, cheaters and adulterers… Why God would want us, like us, seek us and pursue us is more than bewildering. It's the best news we could ever hear!" How does the first century church compare to the church today? 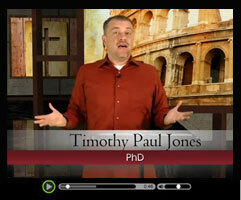 Why study early church history?